Built for reliable, high-quality performance, the ColorWorks C7500GE is ideal for demanding, high-volume environments that require customized glossy labels at a low cost. Its rugged design requires minimal maintenance and offers a low overall cost of ownership. For additional peace of mind, a 1-year on-site warranty is included. It also ships with Wasatch SoftRIP Label Edition software. 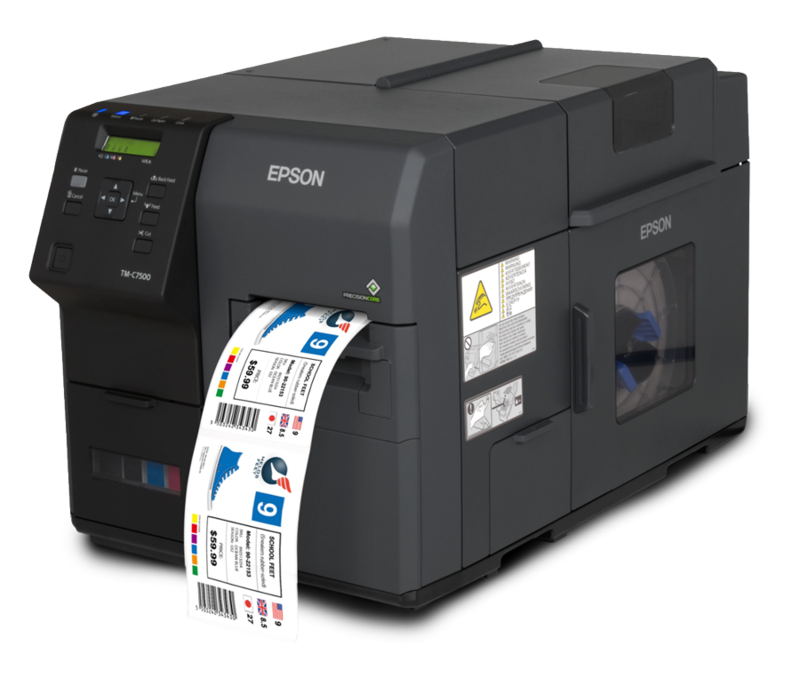 Featuring Just In Time Color printing, the C7500GE delivers on-demand, full-color label printing up to 11.8″ per second. And, you’ll save up to 50 percent on printing costs vs. laser and thermal transfer printers. Perfect for any type of consumer based labels, such as food labels, cannabis labels, e-juice labels, and much more!